There are few parts of your property that are as integral as your roof. Your roofing system is designed to keep the outdoor elements out and ensure that the interior of your property is protected. No matter what type of roofing system you have installed, it will not last forever. This means that your roof will need to be maintained over time. When you are dealing with maintaining or replacing your roof, it is important for you to have a roofing contractor that you can count on. Not all roofing contractors are the same, which means that you need access to a professional that provides the highest quality standards in the industry. If you are in need of a roofing pro, you most likely do not have a lot of time to waste. However, there are some qualifications that you want the roofing professional that you hire to meet. The one thing that you need above all else is a roofing professional that has experience that you can count on. This means that you do not want to hire a roofing contractor that is new to the industry. If you hire a roofing contractor that has been around for a number of years, you can have peace of mind knowing that your roof is in good hands. Experience allows your roofing pro to have a track record, which means that you can know what to expect. This means that the right roofing contractor for your next roofing project will have the experience necessary to make them the most credible option. Always evaluate experience when you are choosing between roofing contractors in the region. It is also important that you make sure that the roofing contractor that you hire has the ability to complete all aspects of your roofing project from start to finish. This means that you need a contractor that has the skills and equipment to remove old roofing systems and install a brand new one. If you choose a contractor that offers all wide ranging services, you can be sure that your roof will be completed in a shorter amount of time and for a rate that you can afford. 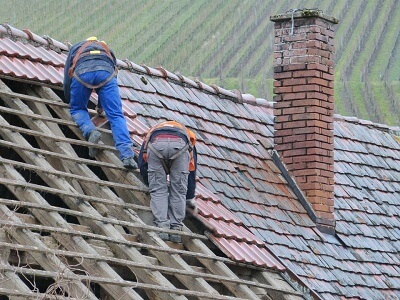 Making sure that your roofing professional offers the services that you require is the first thing that you should do. Don’t just assume that they can do what you need done to your roof, you need to specifically ask about services. When it comes to hiring a roofing contractor, you know that you will eventually need a service provider of this type. This means that it makes sense to begin looking for a qualified roofer right away to ensure that you are ready when an storm strikes and your roof is in need of major repairs. What are you waiting for?